Award Winning Yoga, Stunning Views, Amazing Teachers & Friendly Staff! BYC is Chiswick’s No 1 hot yoga studio! BYC hot yoga has been in the heart of Chiswick since 2002, sharing health and vitality to West London. With our experienced teachers and a spacious studio BYC hot yoga really does provide something special. We have a wonderful wall of windows over looking the beautiful vista of Turnham Green. From the Spring cherry blossom, to the Autumnal red, yellow & brown, nature is always putting on a display to help calm and relax. BYC hot yoga was the 3rd Bikram Hot Yoga studio to be opened in London. We have a wealth of yoga experience to share. Bikram Hot Yoga (90mins, room heated to 40°C): The classic Bikram series: a fun and challenging 26 posture series performed in a heated room. Bikram Yoga is a series of Hatha Yoga postures, suitable for new and advanced practitioners alike. There are unlimited benefits to practising Bikram Yoga. It has helped countless people with old injuries. It helps improve posture, lose weight, tone up, and achieve better balance and focus. During class you will work every single muscle, gland and organ in your body. The twenty six postures systematically move oxygenated blood to one hundred percent of the body (including each organ), restoring all systems to healthy working order, just as nature intended! Each posture stretches, strengthens and prepares specific muscles, ligaments and joints needed for the next posture. Yin Yoga (75mins, not heated): Yin Yoga is a slow, mediative style of yoga practised mainly on the floor. Postures are held for several minutes at a time, so practitioners can access the deep connective tissues of the body. It is a gentle, deep form of yoga, which can be a beautiful compliment to your hot yoga practise or stand alone practise. Hot Vinyasa Flow (75mins, room heated to 36°C): A constantly moving & flowing sequence of postures that change class to class, including downward dogs, sun salutations & arm balancing postures to focus on the upper body, as well as core & leg strength. Like Hot Bikram Yoga it is an all round body/mind workout. Yoga Nidra (45mins, not heated): Yoga Nidra, also known as yoga sleep, is a form of guided meditation. The practitioner simply lies back, allowing themselves to be gently guided to a state of consciousness between waking and sleeping, enabling the body to deeply relax. All our classes are open to all levels. “Bikram yoga has been a fantastic tool in my training and competition, allowing me to be at my best and compete against the best. I strongly recommend Bikram yoga to all runners as an excellent cross-training and recovery tool. I will certainly never be without Bikram yoga in my life, even after I hang up my running shoes and retire from international athletics." “Not only has Bikram yoga healed this ( climbers/ tennis elbow) and endless other injuries, it has provided me with a sense of well-being and new direction in life. Just get in the room! I promise you won’t regret it. And, if there is one thing I could say to all of you new Bikram yogis/inis, it would be: make the most of your introductory offer, come as much as you can, and the rewards will be endless." "I’m definitely not the cheesy sales person who will say something just for effect, but if my experience can help even one person, I’ll be happy. 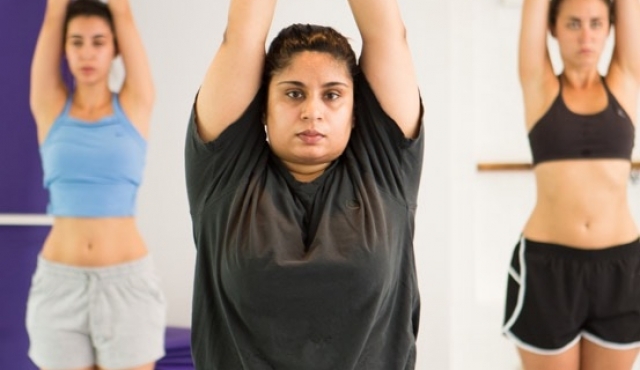 After only 3 months of Bikram, the results are just incredible." Why BYC is the only place to be! The only place where Yoga is neither practice, nor a performance. It’s Rock’n’Roll. “Truly excellent training from great teachers in a lovely environment. 1) Arrive 15 minutes before your first class. 2) Register at reception or online prior to arriving. Please let your teachers and BYC staff know if you have any injuries/medical conditions/ are on any medication/ pregnancy etc Please always keep BYC staff and teachers updated on your medical information/injuries as and when things change. 3) You will need two bath size towels: one for putting on your mat that we provide free of charge & one should you wish to shower afterwards. We hire towels for £1.50/towel. 4) Hydration is imperative for a good hot yoga class. This does not mean down a litre of water straight before class, simply try to drink enough throughout the day or day before you come to class. Doctors estimate around 2ltrs a day for normal body maintenance. Water is only part of the hydration story, we also need our electrolytes. For more information CLICK HERE. 5) Water, you will want to take water into the room with you. We do not have anywhere to fill up water but we do sell 500ml Belu Water (all of Belu’s profits go to Wateraid) for £0.60 or please bring you own water. 6) We advise never coming to class on an empty stomach. Your body needs fuel to power you through class so we would suggest eating something 2 to 3hrs before class. Your probably do not want to eat directly before class, as with any form of strenuous exercise eating straight before can lead to nausea. For more information of food & hot bikram yoga CLICK HERE. 7) Take a mat from the piles at the back of our studio room. For a Hot Bikram Class set yourself up in the second or the third row (the front row is the row in front on the mirror). As the class is a dialogue class, everything you need to know is in your teachers words, however it can be helpful to have the visual of someone in front of you. For Yin & Hot Vinyasa classes, place your mats down length ways facing the window. Again these are dialogue lead classes but your teacher may demonstrate specific postures so assure you have a view of them. 8) If you are doing a Hot Vinyasa or Yin Yoga class you will want to help yourself to the blocks & bricks provided as well. 9) Be kind to yourself and listen to your body. Your first class is about acclimatising yourself to the room and feeling out where your body is in the postures. If you being to feel overwhelmed at any point, then sit down. No posture should be painful. If you do feel pain, ease off and let your teacher know. 10) Breathe (in and out through your nose, this is one of the keys to having an awesome class! Never hold you breath, especially in postures). 12) Have fun, its only yoga after all. 13) At the end of class hang your mats on the mat cages provided. 14) If you have used any blocks or bricks, please spray these with the sprayers provided to clean and leave them on the rack provided to dry. First Nidra/ Restore & Renew Class. – Registration same as above. – Take a mat and set yourself up anywhere you would like in the room. – If you would like to use a pillow for your head please make sure you cover these with a towel. – If you have practised a bikram hot yoga class prior to your Nidra/Restore & Renew we would recommend showering and changing before class. – Please hang the mats on the mat cages provided at the end of class. Muscles, fascia and connective tissues become more elastic allowing for greater flexibility with less chance of injury. It promotes sweating, which assists the detoxification process using the body’s largest elimination organ: the skin. Your blood becomes thinner, which clears the circulatory system. When the body is between three and five degrees above normal temperature, T-cell output from the thymus gland is multiplied 20 fold. T-cells fight infection which in turn helps to keep the immune system functioning properly. Warmer temperatures produce a fluid stretch that allows for greater range of motion in the joints. Heart rate becomes elevated improving the cardiovascular system and fitness. Warm muscles burn fat more effectively. When we stretch, the fat has no room to sit, so it redistributes to the blood stream. We can then use it as energy. Capillaries respond to the heat by dilating. This allows more oxygen to muscles, tissues, organs and glands helping to remove waste products from the body. Higher temperatures improve the function of the nervous system, meaning that messages are carried more rapidly to and from the brain or spinal cord. The heat improves strength because proteins can be utilised more effectively. It speeds the breakdown of glucose and fatty acids. It strengthens willpower, self control and determination through the challenging environment. All this giving you a wonderful glow from head to toe. The heat combined with the sequence of the postures is what makes Hot Bikram Yoga so special. New to BYC Hot Yoga? We would recommend having a read our our Beginners Guide prior to your first class. BYC Introductory Offer £60 for 30 consecutive days of Unlimited Yoga. Everyone new to BYC hot yoga is invited to take part in our Introductory Offer, once! This card is a month of unlimited yoga, valid at ALL classes for only £60! Please bring photo I.D. on your first visit. If you purchase more than one introductory offer in error, the amount paid will be added to your account to use against another class card option. Terms and conditions apply. As an added incentive……….. We will give you 20% OFF your next BYC class card purchase, if bought before your Introductory Offer expires. 1) If you’re coming anywhere from twice a week, to once a fortnight, the most economical plan for you would be 10 Classes Card (valid for 6 months). Usually £115 but, with this offer, only £92. 2) Want to continue transforming your body, with 3 or more classes a week, but not sure how long you want to ‘commit’ to us for? The ‘One Month Unlimited’ is you card of choice, usually £140, is only £112, with this offer. 3) Fallen in love with your yoga & BYC, coming at least 2/3 times a week then you might want to think about our 12 Month Autopay. Valid at ALL classes. If you practise 9 or more classes a month, this is the class card for you. This is a 12 month rolling contract: there is a 2 month written cancellation policy, so, if you need to cancel the contract prior to 12 months, please send us an email to bikramyogachiswick@me.com. Two further payments will be taken and your membership will remain live until the termination date, which will be confirmed with you via email. As this is a rolling contract, if you do not cancel the contract once you have fulfilled your 12 months, the contract will simply continue. You can email us with a 30 day notice of termination, should you not wish to renew your contract. PLEASE NOTE: All our class cards are non refundable, non transferable and non freezable. Please read our Beginners Guide. 14-15 years of age must be accompanied by an adult (over 18 years old) each time they practise. We offer an £8 Drop In rate for under 14-15 year olds. 16 and 17 year olds must be accompanied by an adult (over 18 years of age) on their first visit. After their first accompanied visit, they are then able to come to class on their own. In both cases adult (18+) will need to countersign their completed registration form.